It's been 3 days since I got back from Dublin and I already miss it. The pretty buildings, the lively atmosphere - it really is a city worth visiting. Before I begin suggesting places that you should visit, I have to mention how convenient to get to it is. 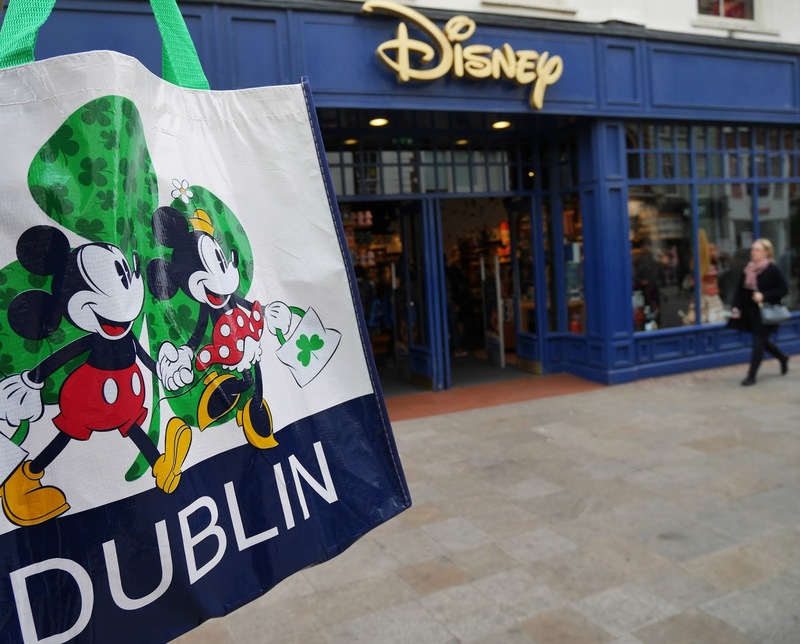 The flight from London Stansted to Dublin is about an hour and the airport transfer bus the other side is so regular, that you'll be in the city centre in no time at all, once you've landed in Ireland. It's ideal for a 48 hour break, which is exactly how long we went to Dublin for. Enough of my rambling about how easy to get to it is, let's get onto the list of places to visit! There's not a huge amount to see inside the castle, but you'll get to learn a bit about James Connolly and Ireland's journey to independence. 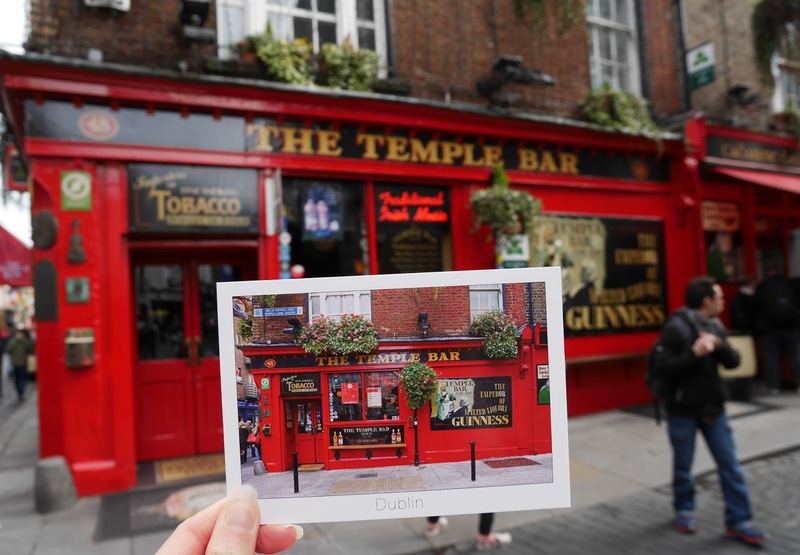 There are lots of pubs and bars that showcase live music in the Temple Bar district of Dublin. The pub of the same name is probably the most famous bar in this area of the city. Make sure you visit in an afternoon, when it's not busy. 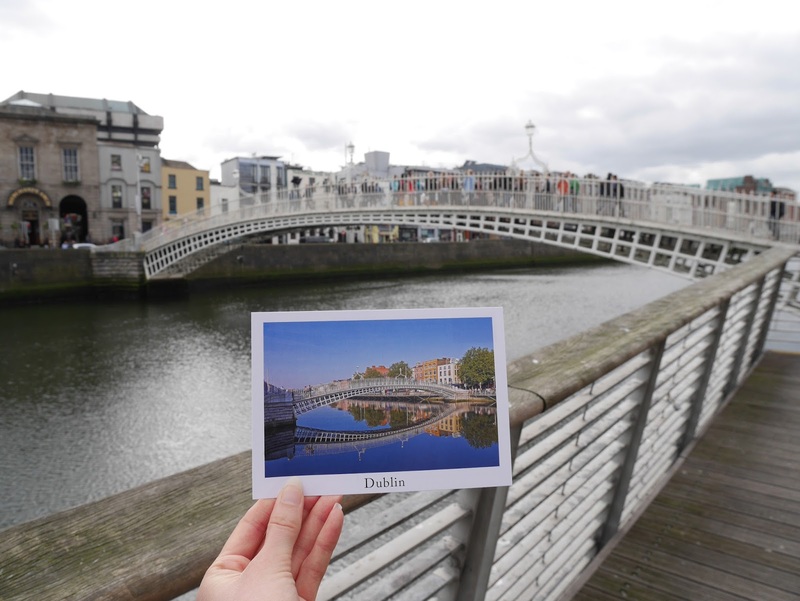 The famous 200-year old bridge in Dublin city centre. There are padlocks attached to the railings of the bridge, just like in Paris. 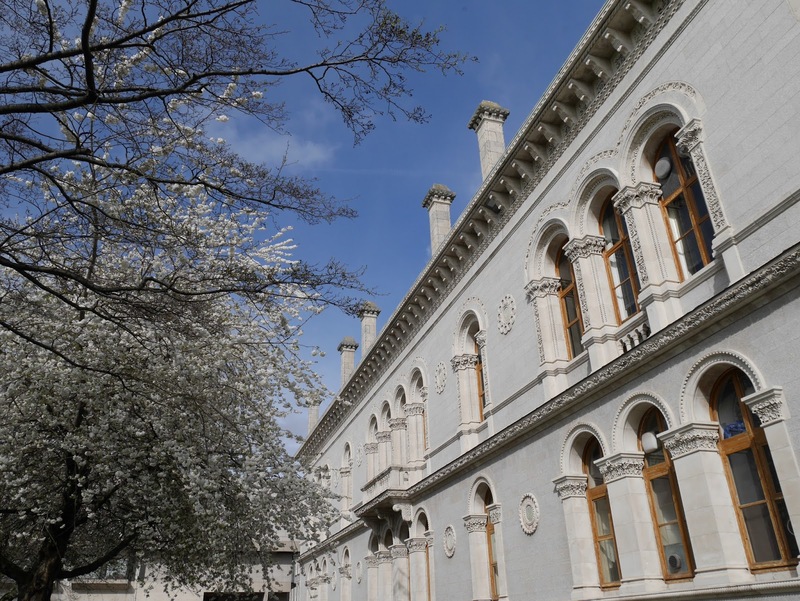 Trinity College is equally as beautiful as Oxford and Cambridge, so make sure you find time to stroll around the University campus. 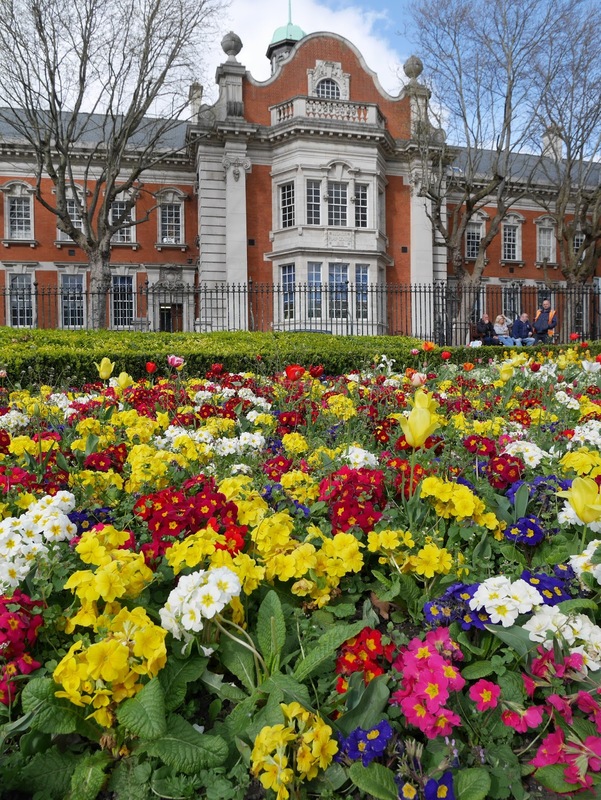 In Spring, the campus is covered in blossom! St Patrick's Park is where you can find St Patrick's Cathedral. It's such a peaceful park, a little way out of the city centre, and it has rows of colourful flowers. 6. 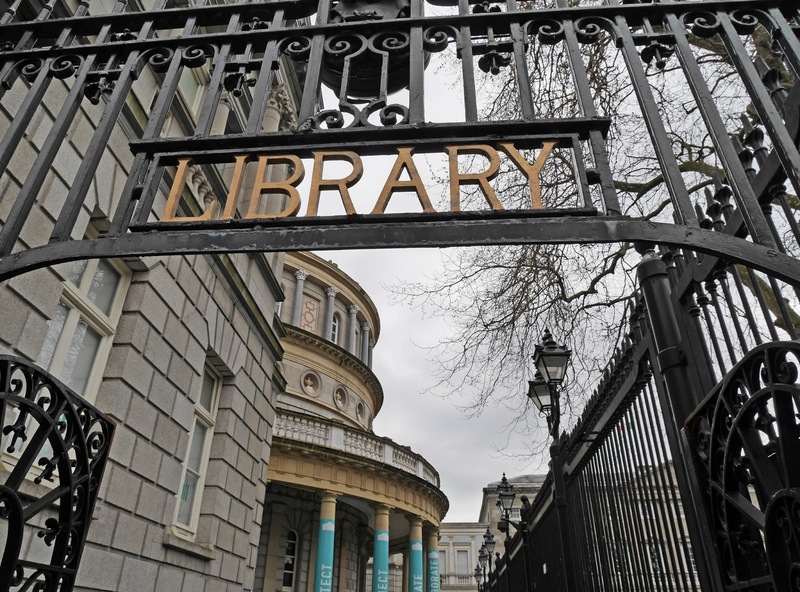 National Library of Ireland. The National Library of Ireland is a truly spectacular building. Whilst we were there, you could see an exhibition about W.B. Yeats' life. 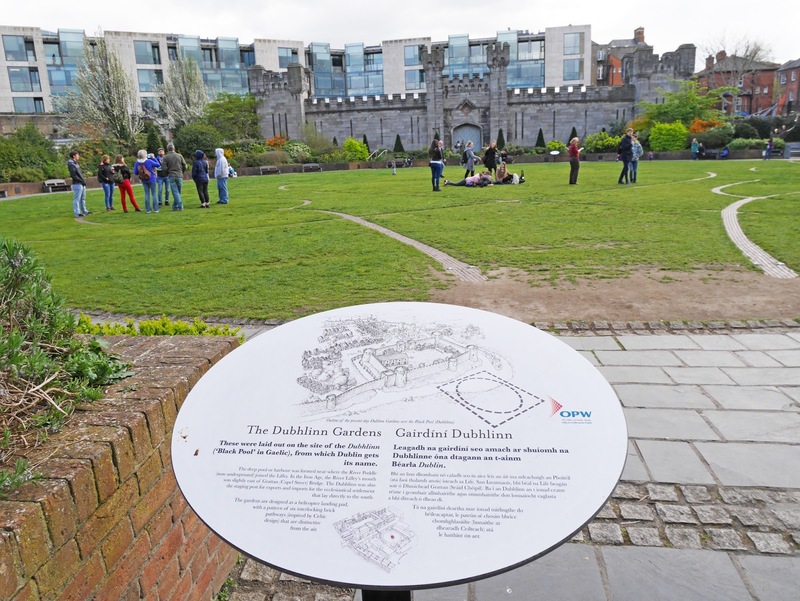 Located just behind Dublin Castle, the Dublin Garden is a great spot to sit and relax. 8. Sophie's restaurant at the Dean Hotel. 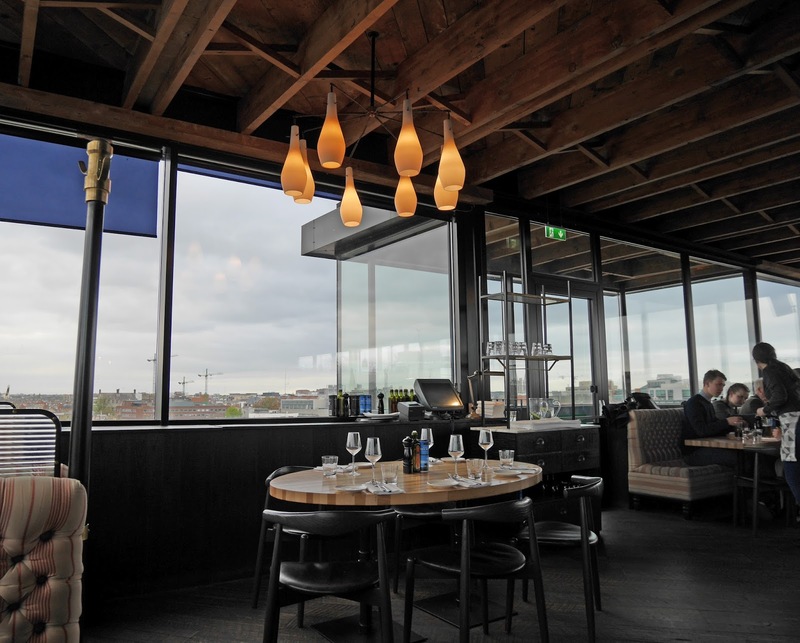 Sophie's restaurant offers views all over the city. The restaurant is very popular so make sure you reserve a table in advance. 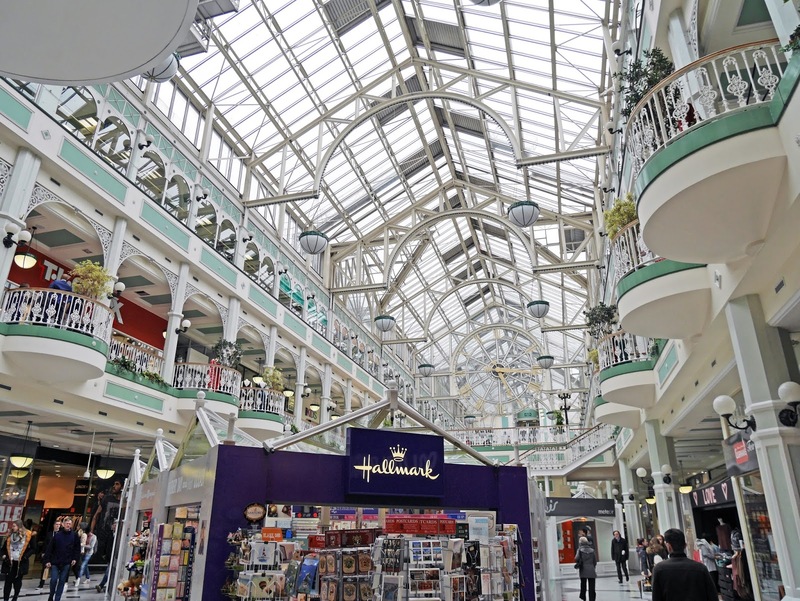 This is Dublin's main shopping street, so there are lots of high street and higher end stores for you to visit. 10. Stephen's Green Shopping Centre. The Stephen's Green Shopping Centre is a marvellous building. Make sure you go up to the top floor of the centre and take a photo of the huge clock! Dublin is a really lovely city. I came back from Dublin on Thursday and absolutely loved it. I covered most things on this list but really wished I had more time to explore Trinity College and the Old Library Long Room - Just an excuse to go back! Also, LOVE the photos! Aww how exciting! Dublin is such a wonderful city! 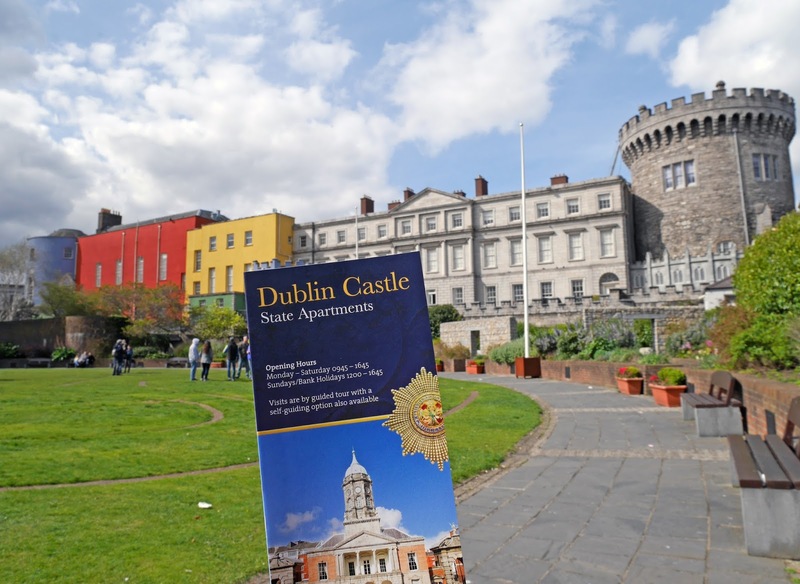 it's been a few years since my visit to Dublin, and I'd LOVE to go back! I know it can be really cheap to fly to but accommodation seems quite expensive, which is why I've not booked bt might have another look for later in the year!